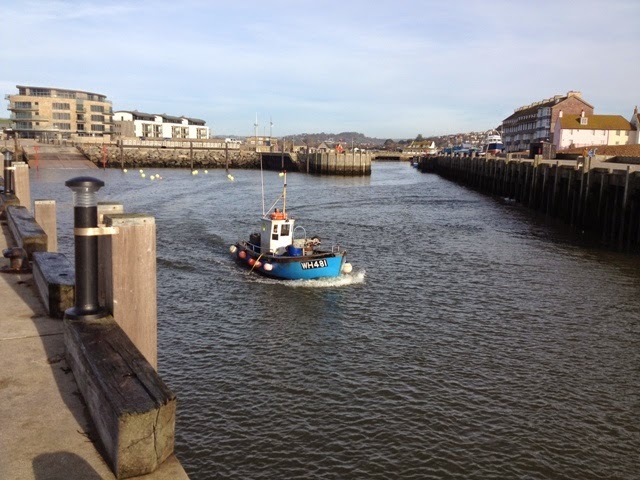 When I was a youngster I sometimes cycled from Taunton, where I lived, to Minehead and back in a day. I usually did this with a friend. Our purpose was to enjoy the ride, and do some sunbathing, if the sun cooperated. In those days, sunbathing was not the dangerous activity it is now, on account of a weakening of the Ozone Layer. 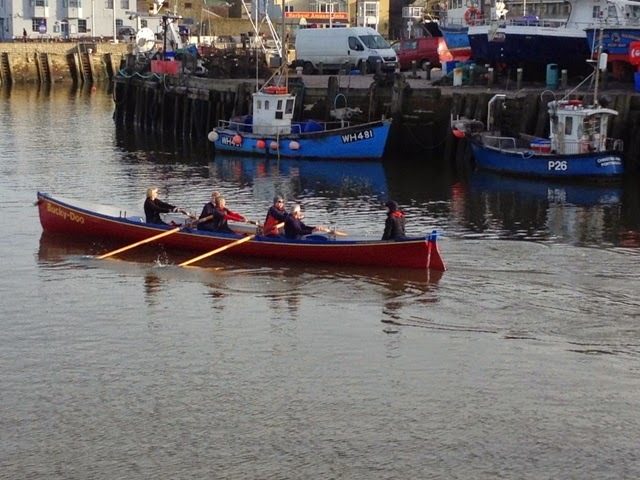 Minehead brings back other memories for me, especially one when I arrived there in a small sharpie after sailing with a friend from Highbridge. 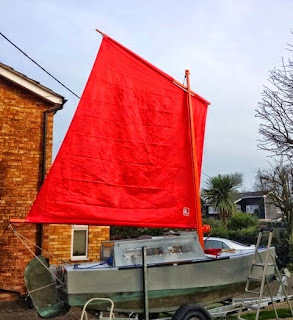 We set out on a day sail with that purpose in mind, but the wind headed us and the only way we could make progress was by walking the boat through the surf. Needless to say, we both became very cold and exhausted. 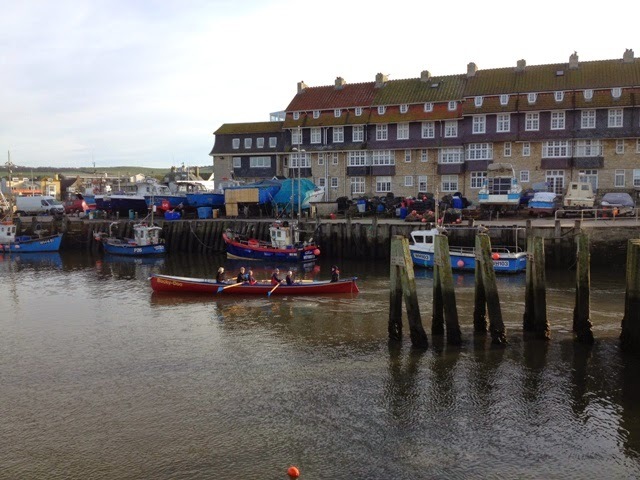 After securing the boat in the harbour we returned home late that night to find our parents in a state of panic. They thought we had been lost at sea. 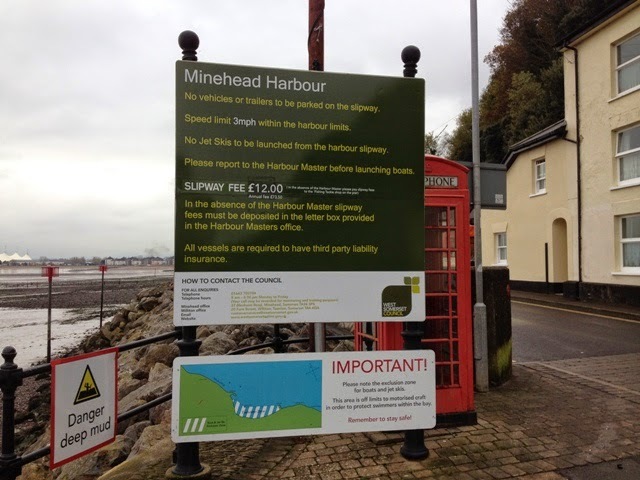 There was no way we could have communicated with them to inform them of our safe arrival at Minehead, because they had no telephone, nor did any of our immediate neighbours. One thing I noticed on my recent visit was that nature of the beach had changed. In my teenage years there was a gorgeous sandy cove; now it is mostly rocks, pebbles and weeds. Apparently a severe storm in 1990 washed away the sand, and badly flooded parts of the town. 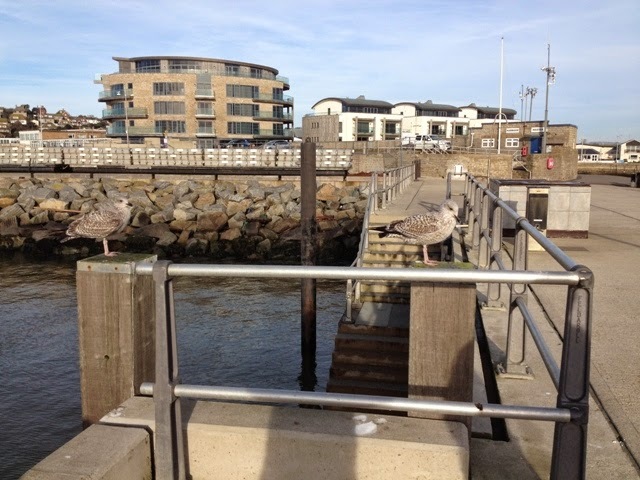 The importation of 320,000 tons of sand in 1999 seems to have made little difference, neither has the expenditure of £12.6 million on building sea defences, although the new sea wall will undoubtedly help minimize the threat of flooding. 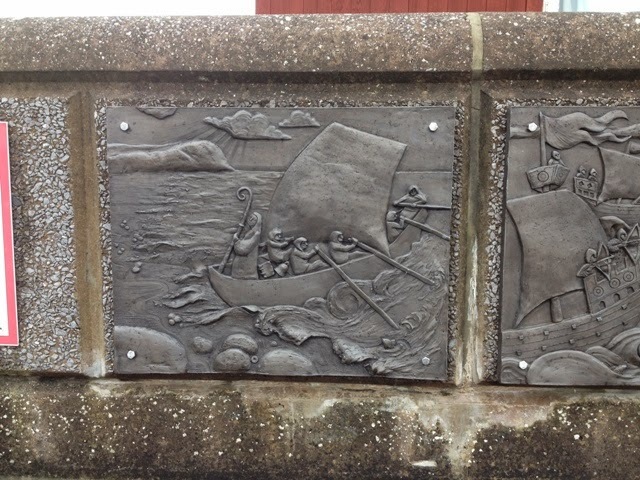 The Harbour, if you can call it a harbour, is much the same as I remember it 60 years ago, but of more recent origin are seven plaques attached to the wall by the walkway. 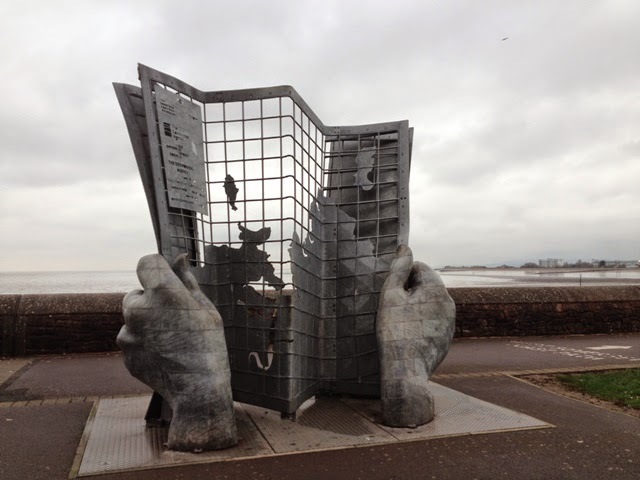 They were designed by Sue Webber, and they represent the rich maritime history of Minehead which can be explored by surfing the NET. Not far from the Harbour there is a large sculpture symbolizing the South West Coastal Path that follows the coastline from there for 630 miles to Poole, on the South Coast. Back from shore leave, I was never far from the coast. 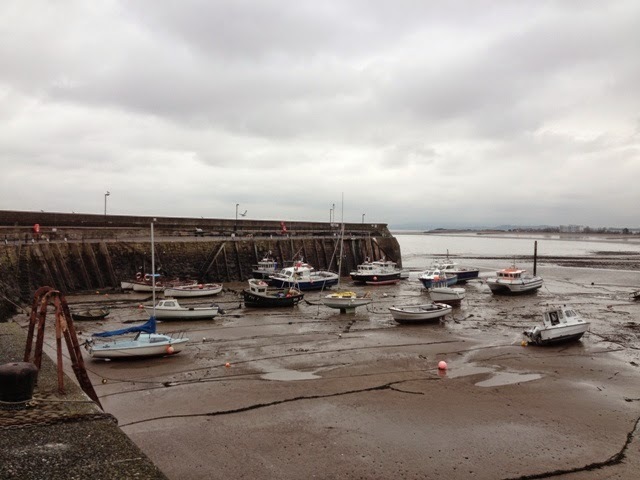 In fact, I was at Bridport in Dorset, which has a small harbour, the inner part of which mostly dries at low water. 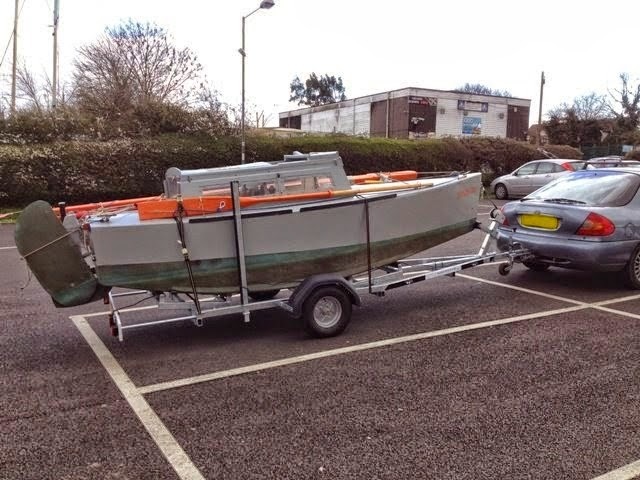 A new pier has much improved facilities for visiting yachtsmen on account of providing space for a floating pontoon which is deployed during the summer months. When crossing Lyme Bay with various yachts I was never keen to visit the harbour because of its narrow and shallow entrance. 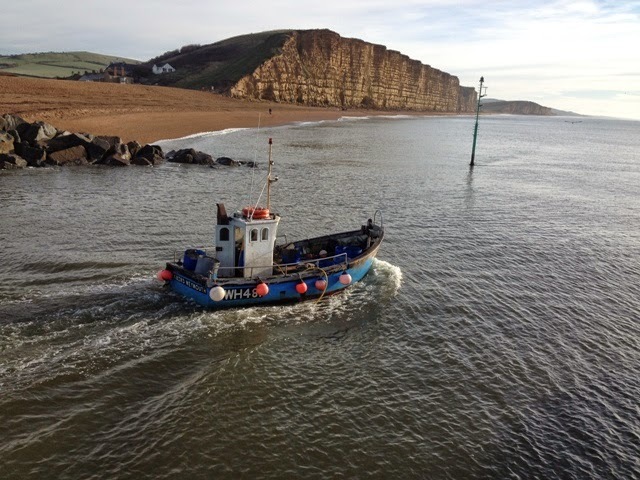 Now that it has been improved by the building of a substantial west pier, and dredging for removing silt, I would certainly consider going there. I was not enamoured with a new building overlooking the Harbour, as it appears to stick out like a ‘monstrous carbuncle’, to use a euphemism coined by Prince Charles in 1974 regarding a proposed extension to the National Gallery. * To my mind, this ugly building does not fit in with the magnificent cliff and beach scenery, and by its very size and structure it destroys the beauty of the place. The essential function of the Internet is the transference of information between computers, and much of the information takes the form of stored knowledge by means of digital systems. Knowledge empowers those who posses it. An essential characteristic of the human is his ‘frontal lobe’ which is the part of his brain that processes knowledge, and accordingly he can determine actions and responses to it. Our curiosity and quest for more knowledge is almost universal for those who have cognitive ability. In recent days, anyone with a TV, radio, computer or smartphone will have heard of Philea, the spacecraft that landed on Comet 67P after 3,907 days getting there from the surface of the earth. This is one example of man’s quest for knowledge, and of man’s desire to tell others of his discoveries. Now, it’s no secret that all of us have particular interests, and we are motivated by them. We delight in learning more of them and applying our newfound knowledge for our satisfaction. 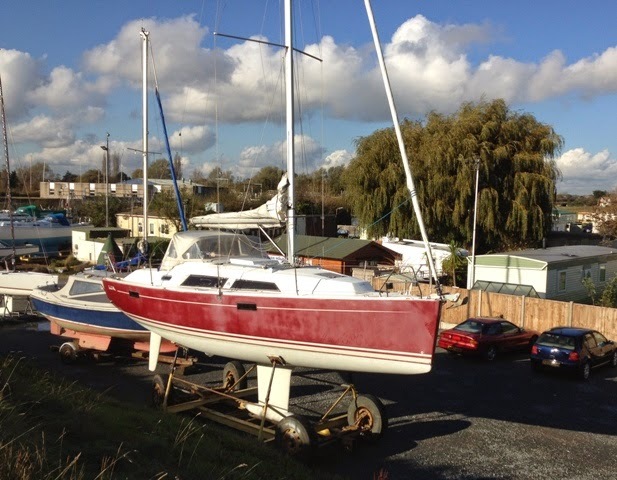 Many who read these pages are avid consumers of facts relating to small sailing craft. That is one reason why you return time and again. I happen to enjoy researching the subject which thrills me, and I get a kick out of communicating my enthusiasm. 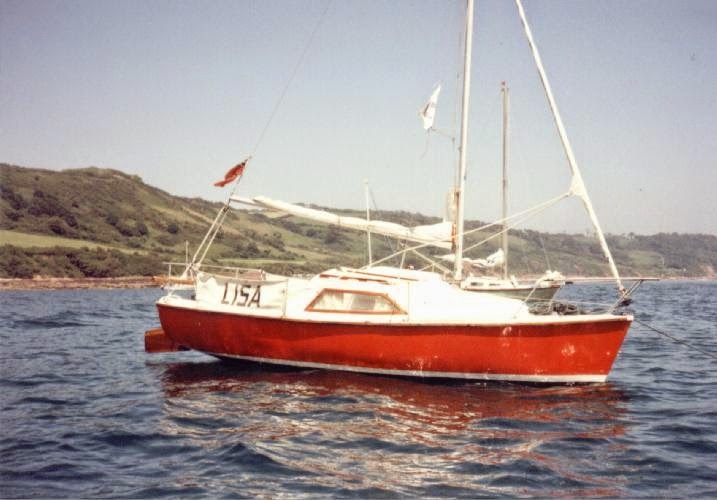 ‘Cruising Logs’ This gives access to articles I have written about my various sailboat adventures. 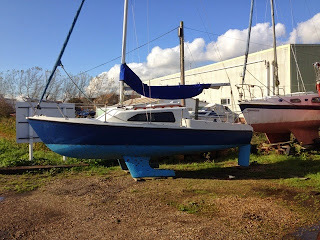 ‘Small Sailboats’ Here, there is a collection of links to my articles featuring small sailing boats. ‘Web Links - Miscellaneous’ This takes you to a number of small sailboat websites. If you are like me, you are a bit of a dreamer. How pleasant it is to leave this world of reality and enter the realm of daydreams. 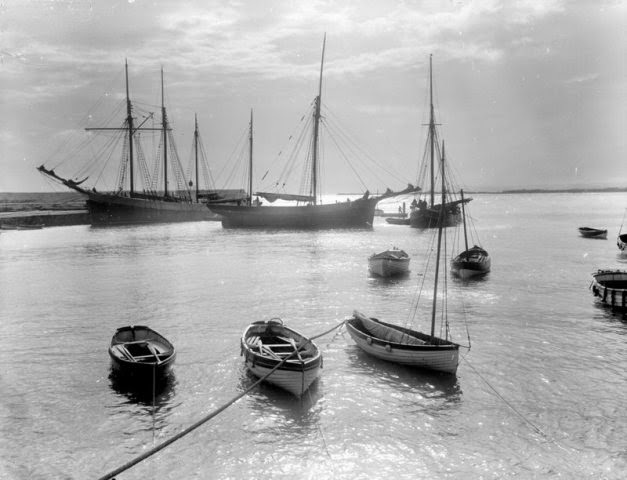 My fantasy dream world is in Peace Haven, the Harbour of Wooden Ships. Anchored in the sheltered cove there are many beautiful and graceful ladies of the sea. Their etched lines tell of past heroics, hard honest work, times of jubilation, triumph over the odds, and battles with the elements: wind and waves, snow, rain and fog. The test of years has proven their worth, and they are ready for more adventures. 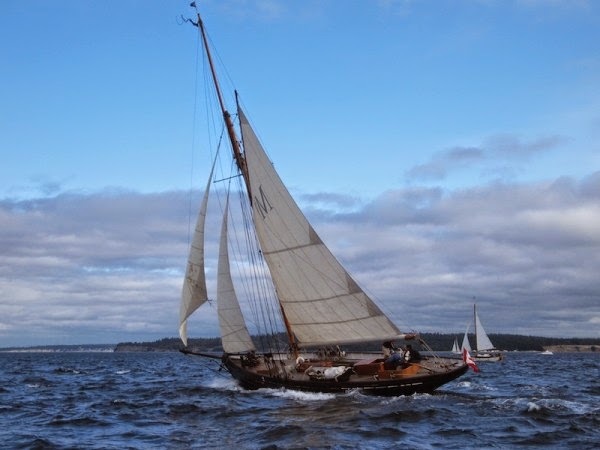 They hunger for open waters, for fine sailing and fair winds - the Trades and palm fringed atolls, sea shanties and the laughter of happy crews. They relish the short sharp, slapping seas of the Channel, the biting, whining wind and the long ocean swells of testing and delight. Gales, and wicked waves, hail and snow; nothing can prevail against them until the sun shines again. Then, all is calm and peace. 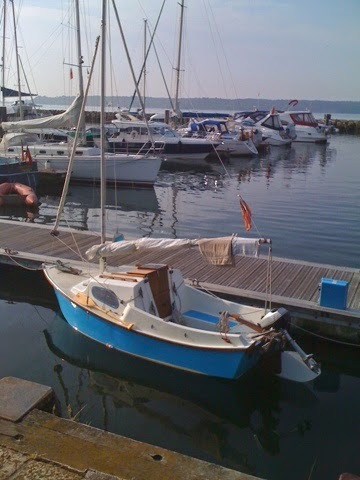 There is a gentle rolling, and the rhythmic creaking of a mast; silence until the wind returns to take them home. When it is all done, and back in port they rest. They reflect and are glad. Men work. 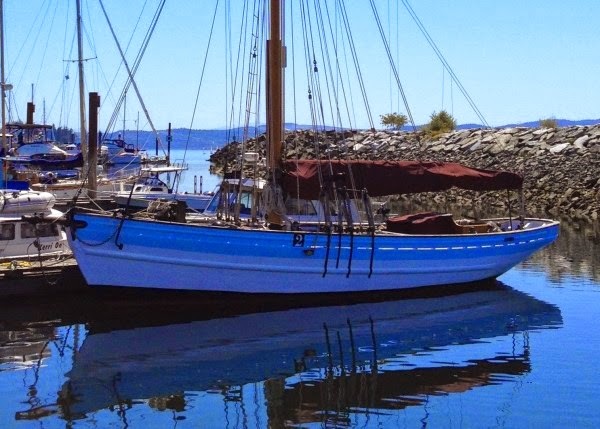 They repair and renovate, paint and varnish, scrape, pitch and tar; patch and sew, splice and whip, and make ready for the next adventure. They victual ship and dream. Fine ladies of the sea are beautified again – revitalized; their bones are far from the muddy grave in The Creek of Death. Rejuvenated they live on, cherished by the sons of men of the sea who will die before them, their souls to be reunited on the everlasting Ocean of Peaceful Dreams. 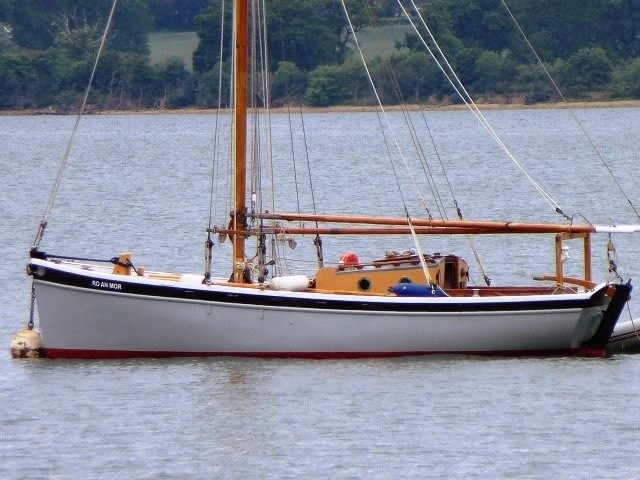 Half Price Pilot Cutter ‘Carlotta’. While I was at Rice and Cole I took a single photo of this Hanse 32 C. I have since discovered she was built in Germany to a high specification, and that her interior is luxuriously fitted out. Designed by Judel/Vrolyjk she is optimised for shorthanded performance sailing with a self-tacking, furling jib, a fully battened mainsail with lazyjacks, and control lines to the cockpit. 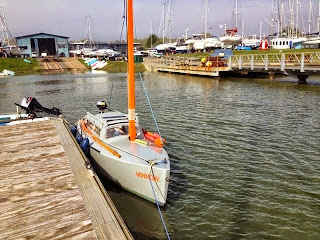 Her forward accommodation includes a double ‘v’ berth, a hanging locker and bags of shelf space. In the main cabin there is 6’ 2” standing headroom. Long settees and a large table provide ‘home’ comforts. 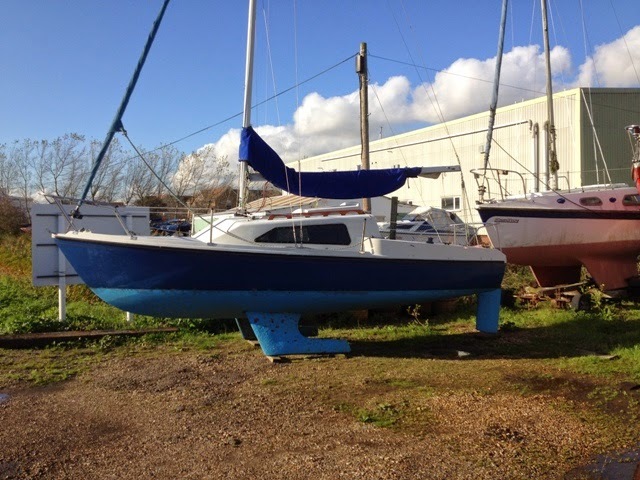 She is light and airy on account of her port lights, both in the coachroof and the hull. 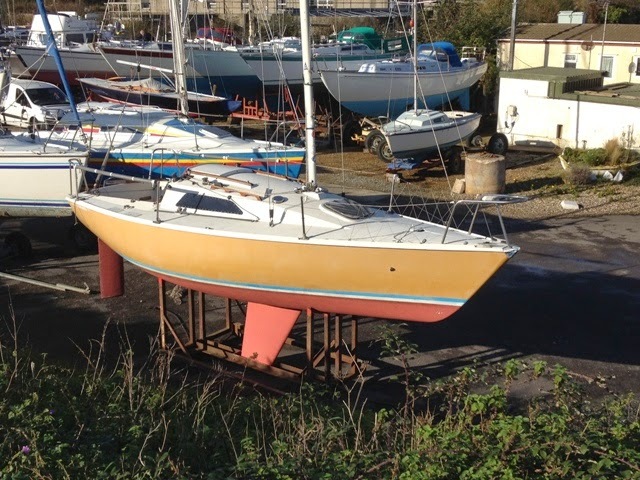 If you have £60,000 to spare and more to keep her, you will be able to get hold of a nice second-hand Hanse 32. 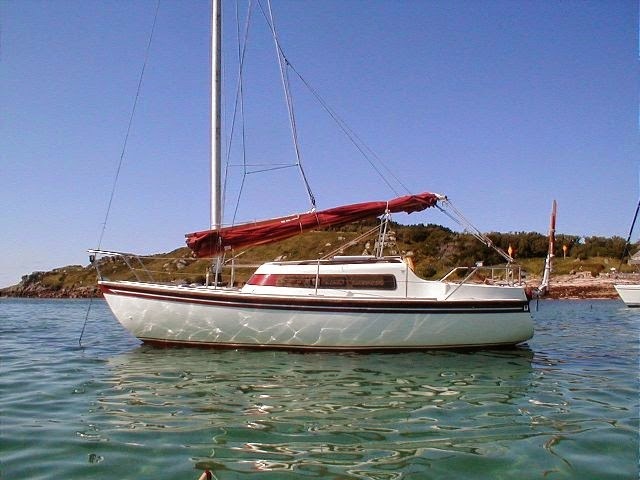 The much cheaper option is to hire* one when you have time to sail her and in a location where the weather is better than it is in the UK most of the time. 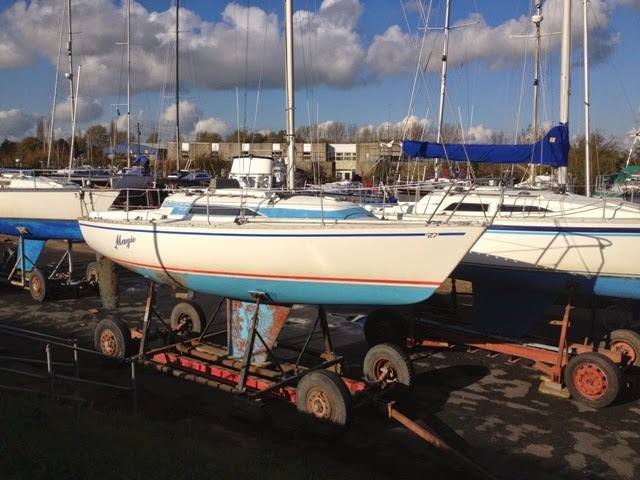 RS stands for Racing Sailboats, which business manufactures and markets a wide range of racing dinghies, keelboats and a catamaran. 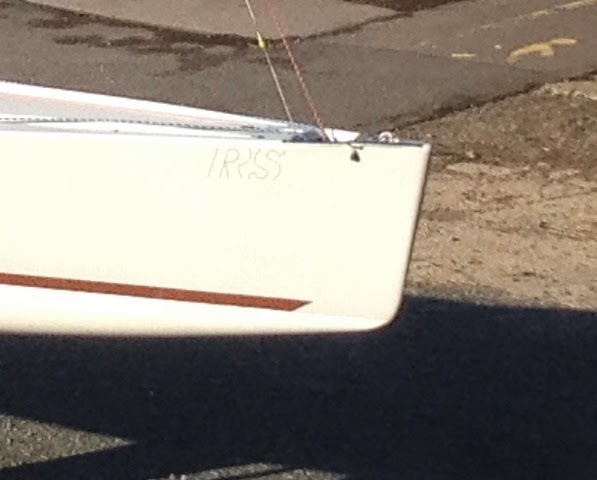 I am not normally interested in racing sailboats, but the RS Elite has attractive sharpie lines that remind me somewhat of the Star class Olympic boat that Phil Morrison campaigned in 1983/4. 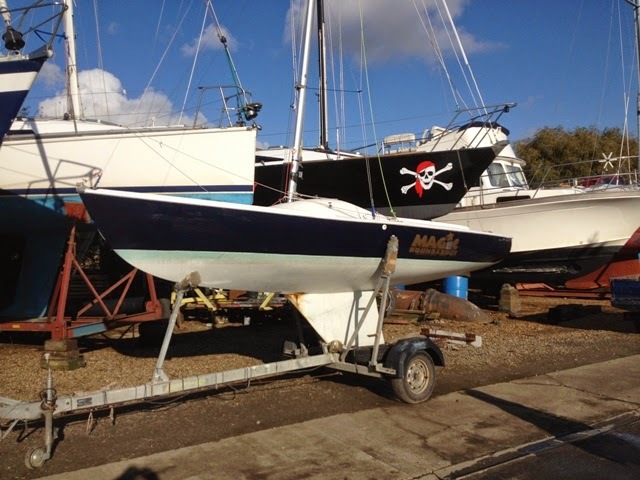 Phil is a very successful designer of racing dinghies and keelboats and an equally successful helmsman who has won many trophies. I note that the same Sonata that was featured in Part 1* is still at Rice and Cole. One thing of which I was unaware is that David Thomas who designed her, deliberately shaped her aft sections to bring the transom just above the waterline to prevent her from planing. 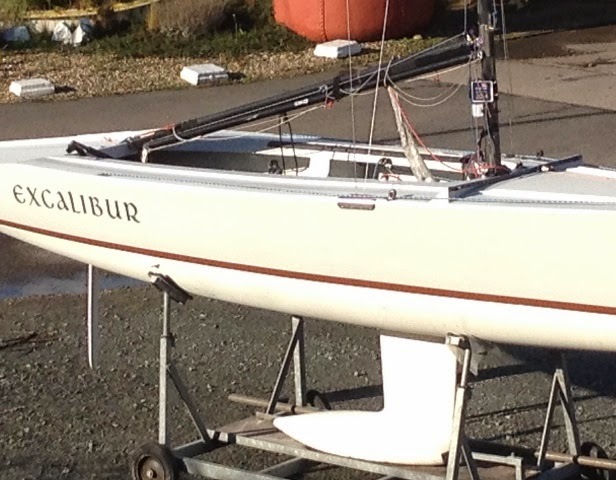 As she was meant to be used for racing and cruising, he did not want, in his own words, “to frighten family crews and granny.” His emphasis was on windward performance, not downwind sailing; hence she is not as stable and predictable before the wind as a boat with a planing hull, i.e., one having a flat and beamy transom, the lower edge of which is at or close to the water's surface. 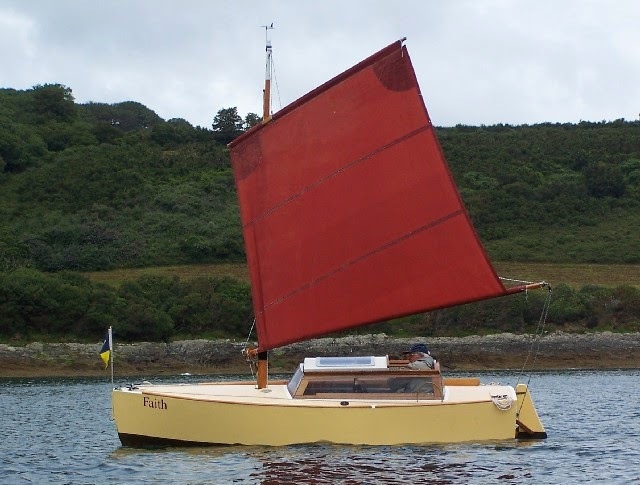 Ian Proctor has a host of small boat designs to his credit of which the Wayfarer is perhaps the most well-known, but the most manufactured* must be the 11’ Topper Polypropylene racing dinghy - more than 56,000 of them! 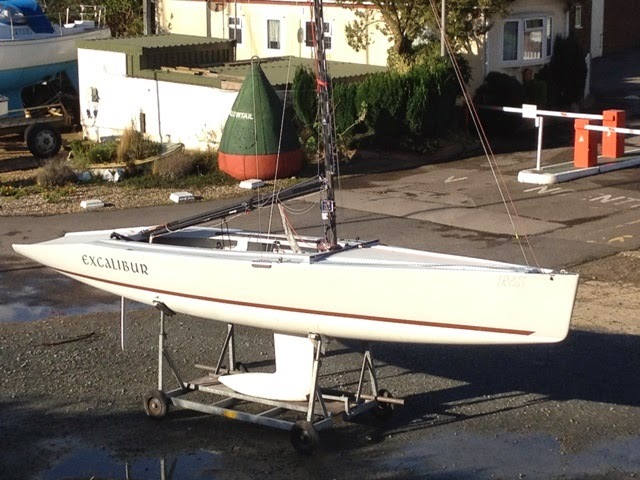 Ian drew the lines of a number of small sailing cruisers such as the Nimrod, the Eclipse, the Pirate and the 19’ 3” Prelude featured here. 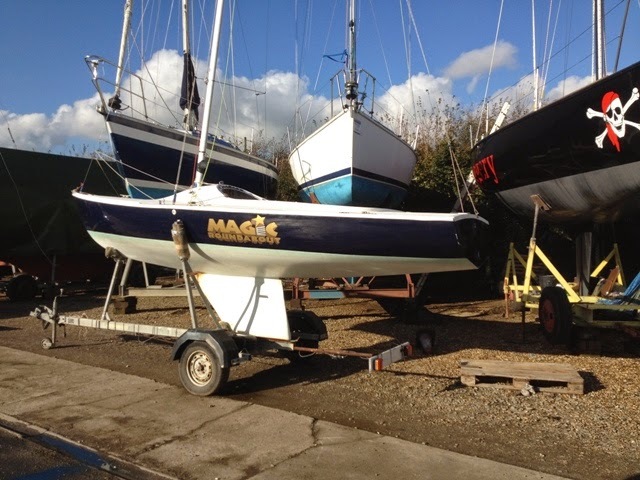 Preludes were initially manufactured by Rydgeway Marine and afterwards by Pegasus Yachts. Between them, over 500 were produced and sold. There were three versions. 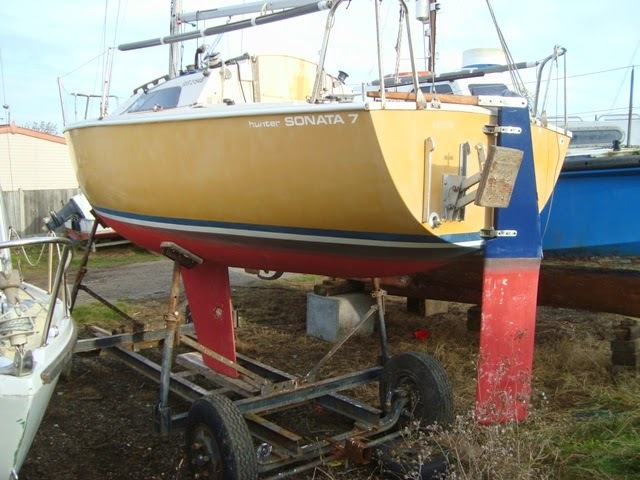 Prospective owners could choose from a drop keel, a fin keel or a bilge keel version. Preludes were made by assembling four GRP mouldings. 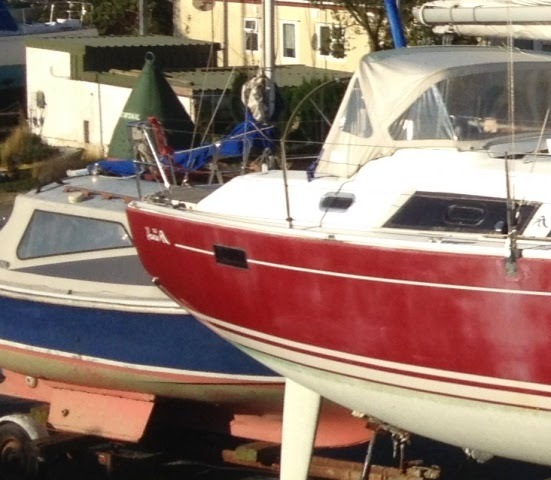 The basic hull had an inner moulding bonded to it comprising built-in berths and a galley unit. 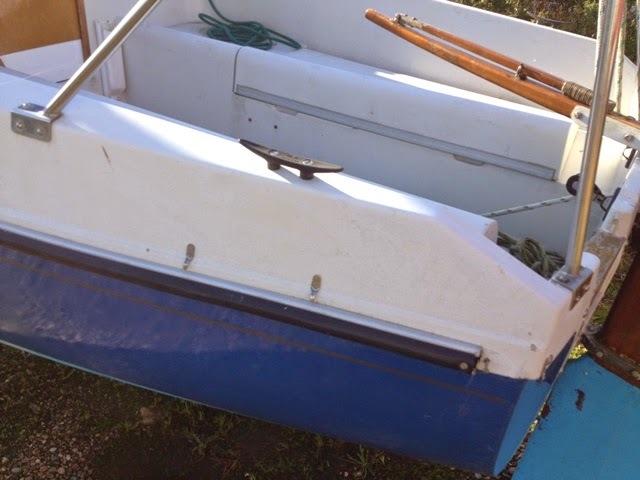 Bolted to these, an upper moulding formed the cabin top, foredeck and cockpit. The cabin ceiling was lined with a thin moulding to impart an attractive, maintenance free surface. 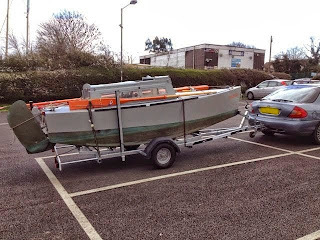 If I had a choice, I would prefer a twin keel version with its cast iron streamlined rear extensions. They help stabilize the boat when taking the ground, so as to make her suitable for drying moorings. 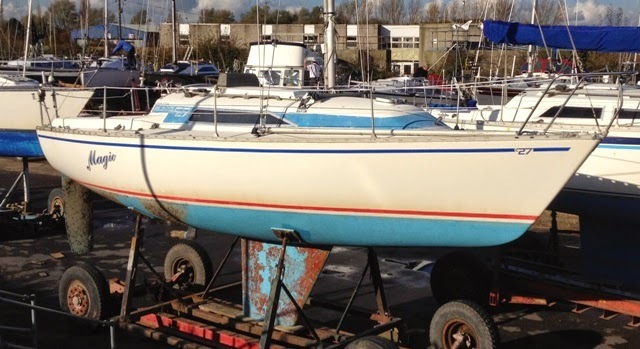 She is a practical, low maintenance sailing cruiser for two people. I like her spacious self-draining cockpit. 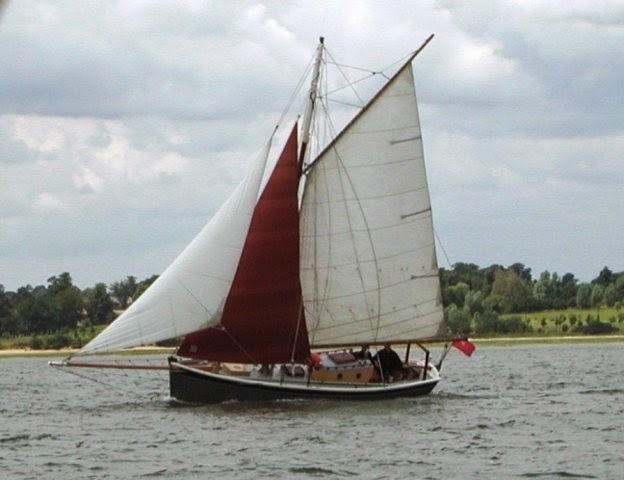 I also like her easily managed furling Genoa, along with her slab reefed mainsail. 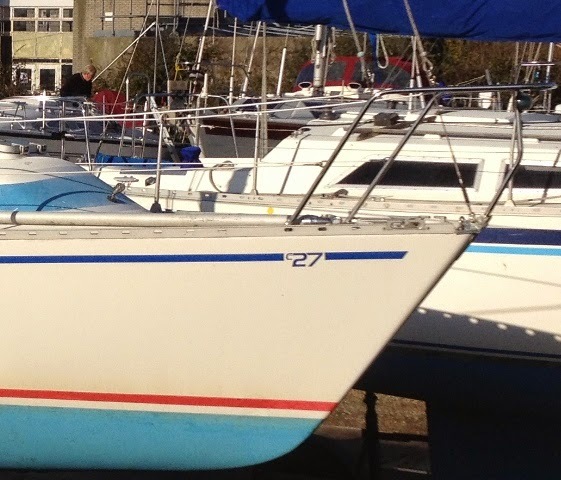 Similar to other boats of her size, such as the 19’ Seawych, she will require to be reefed early to prevent undue weather helm. 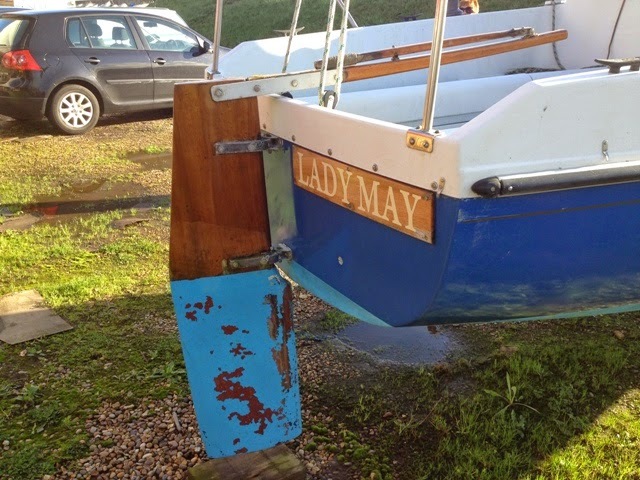 If she is a drop keel boat with a lift-up rudder, it will be important to keep the rudder fully down to maintain balanced handling.